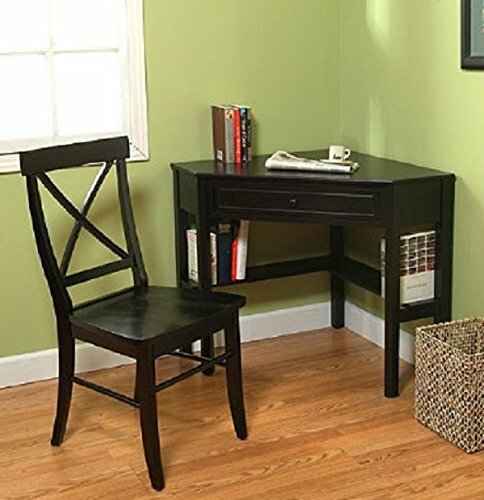 Make a convenient workspace out of any unused corner with this two-piece corner wood desk and chair set from Simple Living. This space-saving wood desk set features an office supply drawer and lower shelves that double as storage or display organizers. This durable two-piece desk set gives you a productive solution for the use of wasted space. If you have any questions about this product by Simple Living Products, contact us by completing and submitting the form below. If you are looking for a specif part number, please include it with your message.